I'm currently sipping a mug of coconut mocha-flavored coffee with soy creamer (because Whole30), this gorgeous candle is burning, and it's Friday. 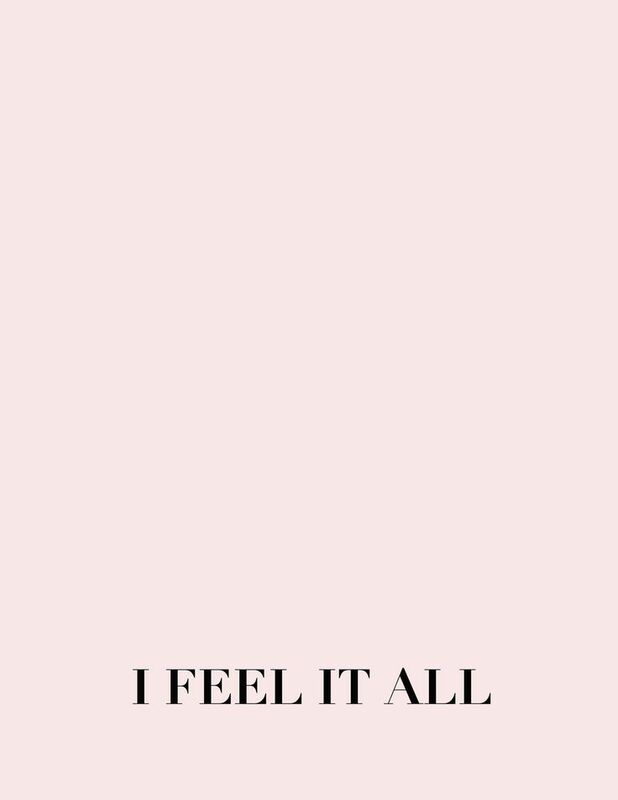 And man, do I feel it all. It's only been the first week of school and already I'm exhausted. My old friends the dark under-eye-circles are back (too soon, too soon), and I am fervently grateful for this nice long weekend ahead of me - and for the man whom it honors and his fight for equality. At the moment though, I'm just tired and feeling all the feelings. Probably because I've been living up to my name by accidentally dumping an entire plate of salad and chicken on the floor last night and then forgetting to turn my phone off in yoga this morning, so the annoying alarm that went off halfway through was mine. The shame. The first week of a new semester is always interesting as you get into a new routine but nothing feels "routine" yet; it's all new and unexpected and you're working out the kinks. There've been numerous kinks this week...like when I accidentally slept through my alarm and missed my first ballet class. Thankfully, my instructor is sweeter than sugar itself and so cute, stylish, and blonde that I simultaneously want her to be my aunt, godmother, or that friend you meet for coffee that has her life together and inspires you to do the same. In the meantime, I'm shopping for a planner (I really dropped the ball this year as my favorite line GreenRoom was discontinued by Target and Emily Ley's Simplified planner that I've been eyeing for years is now sold out) and am itching to get these next few months laid out where my super-visual self can see them. So I'm just over here wearing all the infinity scarves and my very-un-fashion-blogger black fleece jacket because it. is. freezing. cold every day. Which means I'm looking forward to hibernating in my room this weekend (no random people! no school! no having to wear actual clothes [yogapantsftw]!) and I can pretend like this is a life option. Or just plan to become a cat lady. I'm actually really okay with the idea of ending up living solo with shelves of candles + good books; an endless supply of coffee; a little garden; and one or two fat, fluffy cats. If you too are planning on hunkering down + pretending to be a cat this weekend, feel free to come say hi on Instagram or Pinterest (where I'll be taking my study breaks and adding to my Inspiration board). And now, as Porky said in the golden years of our childhood, "Th-th-th-that's all, folks!" Loved this. :) Have a GREAT weekend. Aw, thanks, P! You too! Hit Barnes and Noble up for cute planners. I was there just the other night and they have some real adorable stuff. I do love me some Barnes and Noble...the only problem is that I always want one of everything! I was so upset when GreenRoom was discontinued! They made the best notebooks, and I miss them! This is the first semester I've actually mapped everything out in my planner so I'm feeling pretty darn organized right now. That will change soon enough I'm sure. ;) Your description of a life of candles and coffee and cats etc. sounds about perfect to me. I hope you have a great weekend of hibernating! I will be doing the same I think. So glad to know I'm not the only heartbroken fan! I'm very picky when it comes to my planners and I remember being so happy to finally have found one I love! And ahaha, thank you...if only that description could come true (plus a cute husband + babies ;)!